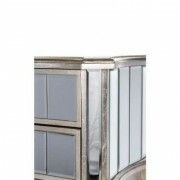 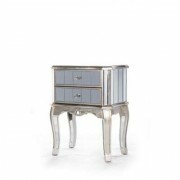 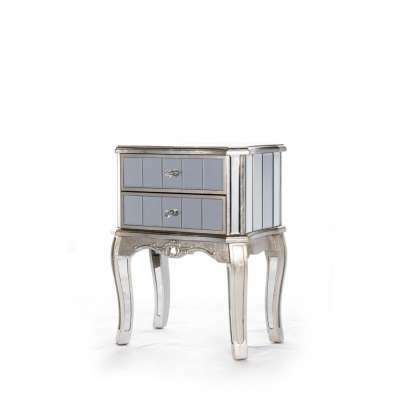 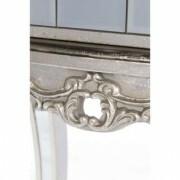 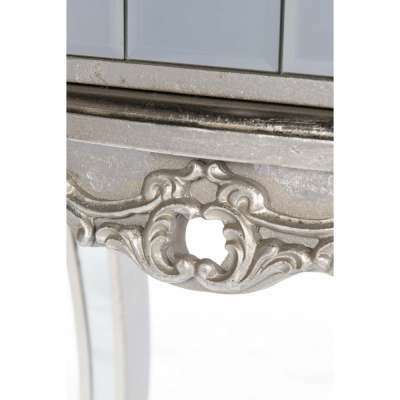 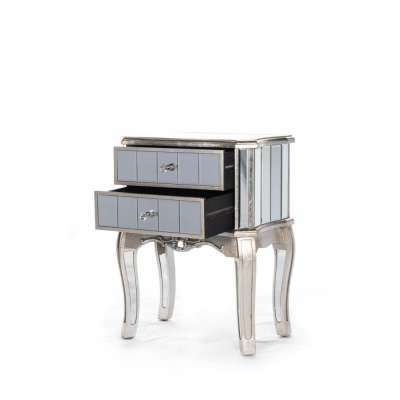 Annabelle venetian mirrored silver 2 drawer bedside table. 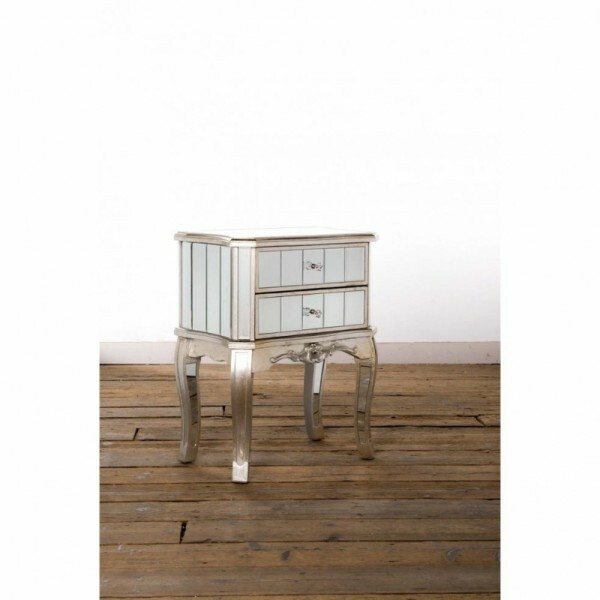 Enhanced by a silver gilt leaf finish and bevelled mirrored glass. 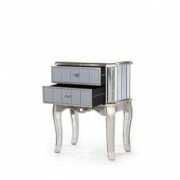 Sparkling crystal drawer handles complete the look.